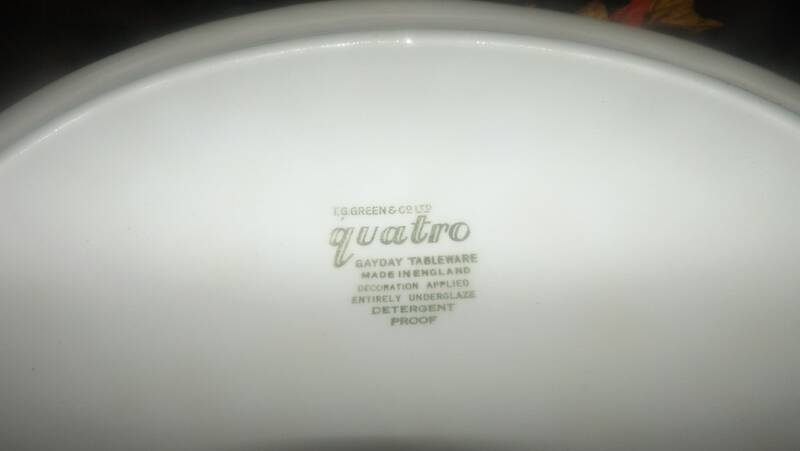 Vintage (1960s) TG Green Quatro oval meat | large vegetable platter. Berit Ternell design. Black, rust, olive geometric. Gayday Tableware. 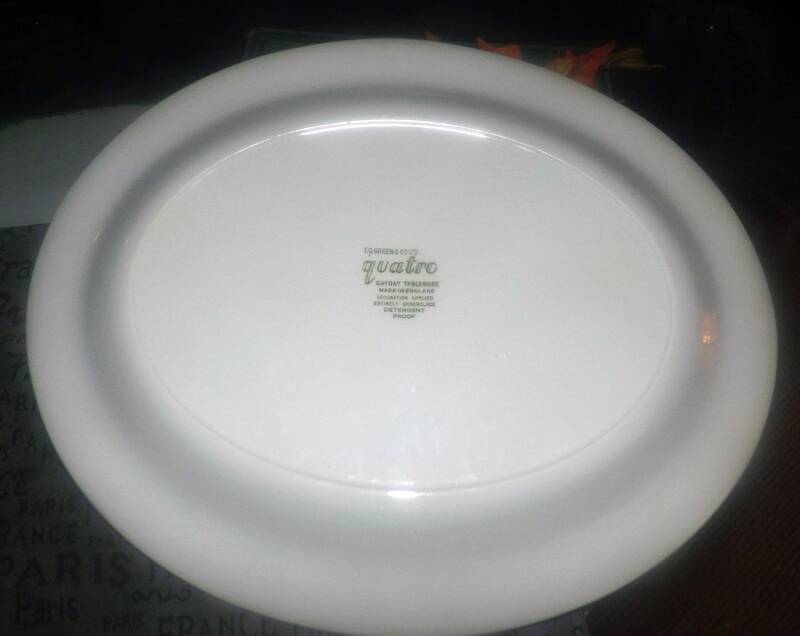 Vintage (1960s) and hard to find TG Green & Co. Ltd. Quatro pattern oval meat or large vegetable platter in the Gayday | Gayday Tableware shape. Black, rust, and olive Scandinavian-style geometric | triangles pattern. 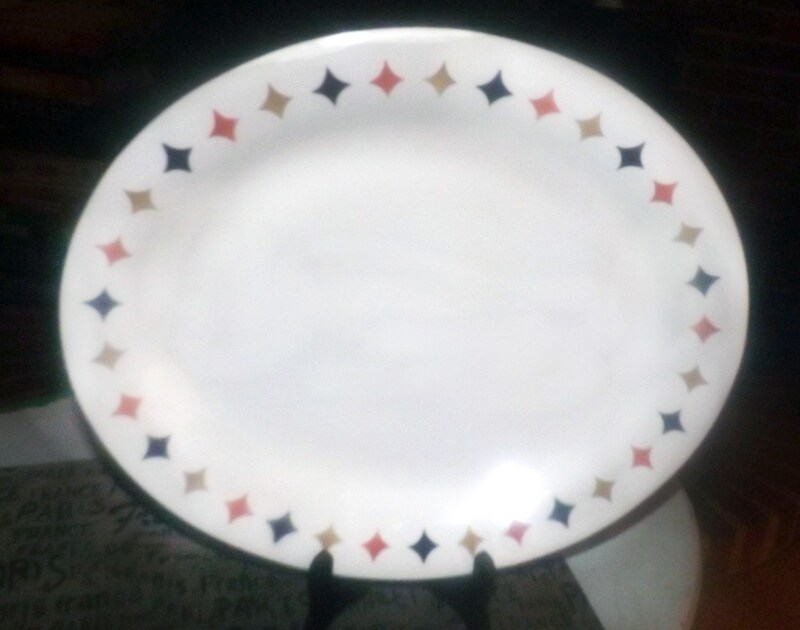 Approximate measurements: 14-1/4" x 12" in diameter (measured edge to edge across the front of the platter with a smooth, unadorned edge.